Larger-than-life scenery, sparkling costumes, dazzling dancing and a lush score by one of music’s greatest melodists. 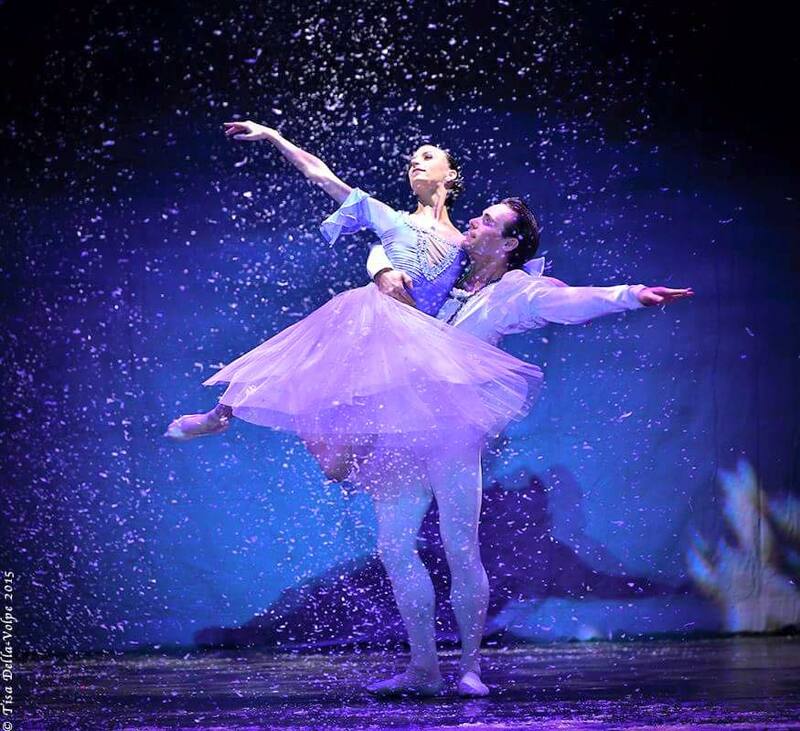 Ballet doesn’t get much more Christmassy than The Nutcracker and First State Ballet Theatre’s annual production continues to deliver festive magic and some striking performances. Audiences at Saturday’s matinee were entranced by the classic story of a young girl’s Christmas Eve and her awakening to the wider world and romantic love. Marie is the most innocent of ballet heroines, a tiny guileless protagonist around whom the magic of “The Nutcracker” unfolds. Mary Kate Reynolds was superb as the Adult Marie, her pliant body and elegant feet a gorgeous instrument for Tchaikovsky’s sweeping score. She was never less than enchanted by the tricks and transformations that surrounded her. Her subtle changes in facial expressions and impeccable timing conveyed a sense of childlike wonder. But The Nutcracker is a company ballet, and every member of the cast was at the top of their games. Reynolds was partnered with Jake Nowicki’s gallant Prince. John Brewer gave the character of Drosselmeyer a mix of severity and playfulness. The mechanical dolls (Angele Zielen, Rie Aoki and Leonid Goykham) delighted all. Goykham and Justin Estelle, portraying the Mouse King and the Nutcracker respectively, were impressive with their amazing jumping abilities and thrilling sword fight. The audience was then magically transported to the Land of the Sweets. John Brewer and Aubrey Clemens made a fiery, flashy twosome in the Spanish. Richy Romero and Molly Rooney were convincing in the Chinese. Lauren Frere’s natural flexibility was put to dazzling use in the partnering of Lauren Anthony, Jessica Eizember, Kenzie Lemoine and Jamie Meyer in the Arabian. Andrew Matte and Ethan Hunter Raysor thrilled the audience in the Russian. The Waltz of the Flowers is a perennial high point in The Nutcracker and Rie Aoki was a lyrical and finely detailed Flower Princess. The party cast members in the opening act managed to captivate with colorful expressions and animated scenarios. Jacqueline Taylor made for a wonderfully composed Young Marie while Kathy Lin as Fritz enjoyed making as much mischief as possible. The Nutcracker has always been an uneven work. The first act is all story, while the second act is all dancing. Marie is still pretty much relegated to the sidelines with little to do but look entranced and occasionally join in the dancing. It’s a difficult role to animate but Reynolds does her best, giving us every imaginable shade of awe and delight. This production coupled with Tchaikovsky’s evocative score capably delivered the age-old magic that is The Nutcracker.